I have been a member of the PIN Academy for the last 2 years now and I wanted to tell you that in that time I have engaged with a number of thought provoking, informative and motivating discussions, read some fantastic exclusive members only content and helped property investors join forces to do some spectacular property investment deals. PIN Academy Membership Is A Goldmine! Simon Zutshi’s (left) PIN Academy has an active community of thousands of property investors and property experts gathered in one place and the topics covered really are a rich and diverse mixture, from questions seeking property investment advice to the sharing of important strategy discoveries, plus many superb property deals and opportunities. Property Investors Save Time And Make Money! Connect with other property investors and joint venture partners throughout the UK and Europe. Enhance your offline networking with social interaction online. There are thousands of active property investors who are already members and the community is still growing! PIN Academy members receive an exclusive CD every month, packed with interviews and property investor educational material only available to PIN Academy members. With over 40 PIN property networking events happening every month across the UK, the PIN Academy is the best way to watch some of the UK’s best property investment speakers in action. Thousands of pounds of property investment training completely free to PIN Academy members, including video’s of some of the top PIN training materials, courses and workshops. Got a great property investment deal that you want to offer to serious property investors? 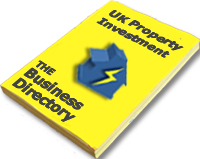 Post it in the PIN Academy DEALS section, No time wasters just serious property investors. Thousands of property deals in one place, all you need to do is scan through the latest property deals posted by PIN Academy members! PIN webinars cover property investment from all angles, including property investment strategies and techniques, up to the minute property investment training and legislation guidance. Never miss a PIN webinar again with unlimited FREE access to the entire PIN Webinar Library. Every replay of the Trushant Bodani’s Deal Doctor – These fantastic fact filled webinars are worth the monthly PIN Academy fee by themselves! Spread the cost of joining the UK’s most active property investor community over 12 months for just £48 (GBP) per Month including VAT or take advantage of an impressive 25% discount by paying for your first year for just £432 (GBP) including VAT. Where property investors require assistance. The latest development in PIN Academy is the introduction of live filming at some of the PIN networking events. The PIN team are capturing some of the speakers presentations as well as conducting in depth interviews and filming the lively group discussions. PIN Academy Exists To Help Property Investors Succeed! Joining the PIN Academy could make the difference between success and failure as a property investor, so what are you waiting for? Join the PIN Academy NOW! – Click Here! Why Goal Setting Is So Important To Success! Have you ever wondered why some people are incredibly successful whilst some people just can’t seem to get anything to work for them? There are many driving forces behind a person’s desire, but what are the best ways to actually achieve success? An idea is just a dream until you write it down then it becomes a goal! For every successful property investor or business entrepreneur there is a process to success that has been studied, rewritten and constantly re-examined throughout the individual’s own journey from start up through to achieving success…GOAL Setting! We don’t know where we could be in a year from now, but by setting goals to aim for, we may have a better idea of where we would like to be! There are many paths that people can follow in order to reach their goals, but do you know which is the right one for you? Do you follow your instincts? Do you follow the same path as others without knowing what the outcome will be? Do you want success but don’t understand how to reach it? If you start setting your goals right now, today, then your journey to success will begin and a year from today you will surely arrive…The question is, where? It will come around faster than you may be ready for, in the blink of an eye. Will you be wondering what happened within that time? Will you be standing in a moment of your life that is so incredible, a moment that is so exciting it will make you feel like bursting with pride, a moment that is so challenging it will make your head spin or a moment in time that is just plain beautiful? Will it be a moment that makes you proud of who you’ve become? That’s the reason for goal setting and achieving success. You don’t need to be goal setting to be able to get things. Things will come and go. The real prize is becoming the person who can manifest anything you envision, because of what you bring to the table. Adding wings to our unique life journey! Thea Westra is author of “Time For My Life: 365 Stepping Stones” as well as many self improvement sites, blogs, ebooks, images and videos. How Do People Do Amazing Property Deals With Such Success? What Price Would You Place On Property Investment Success? Successful people spend a fortune on their education – not only when they go to university, but afterwards too. No matter what job or profession you’re in, education will always be major part of progress and success. If you’re employed by a company, many of these training sessions can often be funded by the employer, but if you’re self-employed, any courses or educational opportunities taken are done with the aim of getting something that will benefit your business and bottom line at the end of it, as well as continued personal development (CPD). 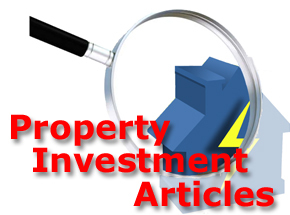 Property investing should be viewed in the same light. If you go off and start purchasing investment properties as you would your family home, then there’s a fair chance you’ll either lose money on every property deal or tie up more of your finances than you need to, and that is where education can play a key role. Would you like to know how truly successful people do the amazing property deals they do? Simon Zutshi is offering serious property investors the opportunity to take a peek behind closed doors at some of the training usually reserved for his property mastermind delegates. This offer has been snapped up by property investors who are really serious about taking positive action and making 2014 their year, and this morning we have been informed that tickets to personally attend the live Mindset Workshop in Birmingham this Sunday 19th January 2014, have now completely SOLD OUT. Although attending the live event has been incredibly popular and physical places have SOLD OUT, it is not too late for property investors to benefit as you can still subscribe to the live online stream. If you are not getting the results you want in your property investing, you need to watch this video and find out how you could benefit from participating in this live online stream on Sunday 19th January. Click here to watch this video now. In case you don’t know who Simon Zutshi is, he is the founder of the property investors network, now in its 10th year, author of the Amazon best-selling book “Property Magic”, and has been teaching people how to successfully invest in property since 2003. He is very knowledgeable and regarded as one of the UK’s TOP property investment educators, so if he wants to share some valuable information with you, we suggest you take notice! This is a unique opportunity to have a sneak preview behind the scenes at Simon Zutshi’s massively oversubscribed Property Mastermind Programme. We highly recommend you take the opportunity to learn from this one off experience, we will be watching the live stream with a great deal of interest and will be taking plenty of notes.